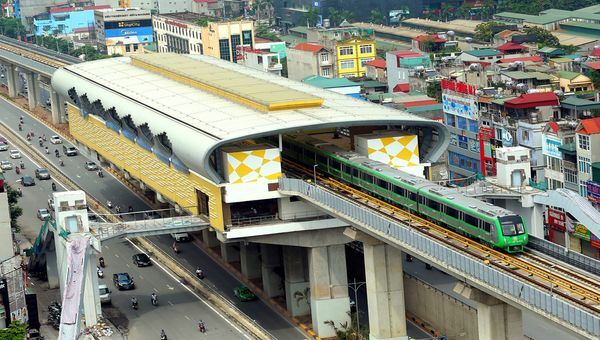 The Hanoi People's Council has agreed with a plan submitted by the municipal People's Committee to spend VND14.46 billion (US$620,000) per year in subsidy for fares of the Cat Linh – Ha Dong railway line, the city’s first metro route, VnExpress reported. The financial support will be similar to the one for passengers of buses and bus rapid transport (BRT). Specifically, people with revolutionary merits, people with disabilities, children under six years old will travel for free. Meanwhile, the city will cover half of the fare for commuters who are students and workers in industrial parks and the elderly. Office workers and laborers of businesses located outside industrial zones, who buy monthly tickets in groups, will enjoy a 30% discount of the transport expense. Especially, in the first 15 days of the railway operation, passengers will travel for free. The commercial operation of the Chinese-funded Cat Linh – Ha Dong railway, with a Chinese corporation being the main contractor, has been delayed several times and has suffered hefty cost overruns.